Real people. Doing real things. With Toad solutions. Not me. I hate being interrupted. It’s fair to say that most people feel the same. There’s agitation and frustration when interruptions mess up our “flow”. Consultants like me will almost always tell you that giving in to interruptions in formal settings is risky: like asking for trouble. Interruptions can trigger a branching off-topic at warp speed. Or you can be dragged down a rabbit hole that takes your demo to the outer reaches of your product where “no man has gone before”. Of course, it’s ok if my wife interjects (if I know what’s good for me.) And I won’t complain if someone hollers at me to save my life. But aside from wife and life, there’s only one other scenario where I embrace “the interrupt”. Hey, Customer is King. And in my current role as a software solutions consultant, I’ve not only learned to embrace interruptions from my customers, but to encourage them to interrupt me during discussions and demos. Risky business? No question. But the opportunities outweigh the risks, in my opinion. Here’s the first in a three-part series about real-world accounts in which interruptions from customers turned into change for the better. Any Data Scientists in the House? 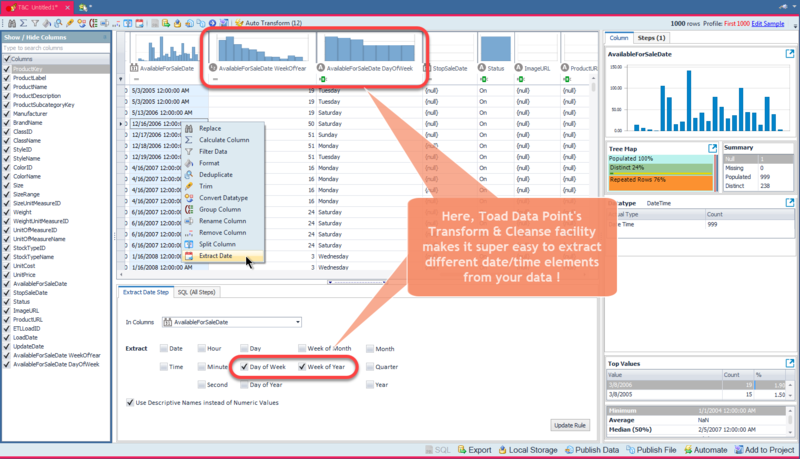 I am onsite at a major retailer based in the U.S. northwest (over 70 million customers worldwide), giving a demo of our popular Toad Data Point product (try it!) to business analysts. This customer has over 20 mainstream data source platforms, and some platforms not so well known. Toad Data Point makes it easy for them to blend their data from almost all of these platforms and massage the data into information that, well, runs the company. 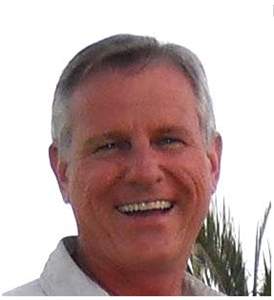 I am there to demonstrate additional capabilities and to help users leverage our product more effectively. At one point in the demonstration, I ask if anyone in the group is a data scientist or is interested in our analytics add-on. I take in some blank stares and a few head shakes, so I move on with the demo. Five minutes later, I am showing some data profiling capabilities in our product that I know is very important for the group to see, and one of the reasons I was invited onsite. You could say that it is the most relevant part of the entire demo for my customer. If there’s ever a time to pray for “Mr. Murphy” (of Murphy’s Law fame) NOT interrupting, it’s now. Half-way in, however, guess what happens? Mr. Murphy does indeed appear. From the back of the room a gentleman (let’s call him Mr. Murphy, why not?) confidently walks to the front of the table while I’m speaking, seemingly oblivious to what we’re doing, and is now standing next to me in front of the group. Without a word, he pulls out the projection cable hooked to my laptop, and plugs it into his laptop. We are now seeing the contents of Mr. Murphy’s laptop, and not mine, on the big screen. Adrenalin catapults my heart straight into my voice box. Even if I find words to say, they wouldn’t be coming out just now. “We do have data scientists,” Mr. Murphy says calmly. He had already navigated to a web page on the retailer’s site that listed the hiring qualifications for four or five data scientist positions. Most of the positions required PhDs, and experience in advanced modeling, supply-chain optimizations or fraud detection, machine learning, cluster analysis, forecasting, etc. Mr. Murphy goes on to explain that none of the people in the room work directly with these advanced number-crunchers, but a few of them know the directors of these teams. He’s asking if it is OK for the group to see the analytics capabilities that Toad Data Point has: it may be that the other directors’ teams could use what Toad offers. The group agrees, and I tell the group that I can spend ten minutes at the end of the demo covering this topic. I thank Mr. Murphy for letting me know about their needs, and was about to unhook his laptop to resume my demo, when Mr. Murphy interjected. Again. “While we’re on my machine…”, Mr. Murphy stops. An instinctive “Oh no!” thought bubble suddenly pops in my head as I wait for Mr. Murphy to complete his sentence. “…Is there a better way to extract date elements from our date-time stamp fields?” I hear a favorable buzz from the group as soon as he says this. It’s a problem that apparently resonates with many in the room. Mr. Murphy brings up Toad Data Point on his machine. He logs into one of his environments. He brings up a table and describes the problem. Most of the date-time stamp fields used by this customer are saved in a generic “global” format for reporting. But for analysis, they must be frequently reformatted and endure different convolutions in order to isolate parts of the date or time. Mr. Murphy “just happens to have an example” (more “Oh no!” thought bubbles here) where he is attempting to find the week of the year via SQL function calls. I see the calculation logic. It’s ugly: a formula that involves nested calls of CAST functions and TO_DATEs and TO_CHARs and SUBSTRs and TRUNCs. He adds that there is different logic for different data platforms, because not all platforms support the same library of functions. Oh, and this is not even the ugliest example! He could show me more. And then, Mr. Murphy slides his laptop in front of me. Another jolt of adrenalin pops all my “oh no!” bubbles and tries to push my heart beyond the vocal chords. I swallow hard to get my heart back in place so I can breathe again. Then I ask a few questions, hoping to buy time as I recuperate from my hyperventilating in as professional a manner as I can. I am fortunate. Mr. Murphy has the Professional edition of Toad Data Point, which means that his Toad has some built-in functions that make extracting date-time stamp elements super easy. But no one in the group has taken the time to discover this part of the product. I send a read-only copy of Mr. Murphy’s table to Toad Data Point’s Transform and Cleanse workspace. There, I choose the Extract Date right-click option on one of the date-time fields, and check the boxes for the date-time elements I am interested in. The snap below is similar to what I did on Mr. Murphy’s machine. It takes me literally about a minute. As soon as I get to the screen which shows the various “elements” Toad can extract from a typical date-time stamp field, I hear Mr. Murphy and a few others do some favorable mumble rumbles. And when I apply the transform rule to create a Week of the Year column, I get a sigh of relief from Mr. Murphy, and claps of approval from some of the group. Mr. Murphy and the group members spend the next few minutes telling me how this will save them much time and pain. Had Mr. Murphy not interrupted, some realities would have remained unrealized. For me, Mr. Murphy gave me an opportunity to see how creative and persistent customers can be in order to solve problems, no matter how ugly a hoop they have to jump through. It's ALWAYS good for me to see what customers do, and how they do it. For the customer, Mr. Murphy’s interrupt triggered three opportunities. First, Toad Data Point raised the productivity bar for each of the members in my demo group that day. They no longer have to spend hours each week (yes, they said hours!) tweaking/troubleshooting lots of scripts for different data sources to get the right info from their timestamps and other data types. Second, with permission from the group, we spent an extra ten minutes of demonstration around advanced data analysis. A few of the members of my demo group were willing to share what they saw with the data scientist teams. 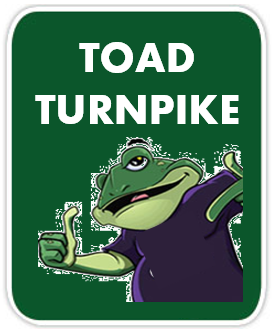 One of those groups is interested in kicking the tires to see how Toad Data Point may be able to automate their more basic and intermediate levels of statistics and modeling. The expectation is that Toad will help the data scientists spend more productive hours on the most sophisticated, important tasks. Third, the excitement level of what the demo group saw was contagious. Word has spread. Other teams at some of this customer’s other offices are now trialing Toad Data Point and starting to experience productivity enhancements of their own. One interruption. One simple request. A simple show-and-tell. Big impact. Who’s next? Here's Part 2 of this series.